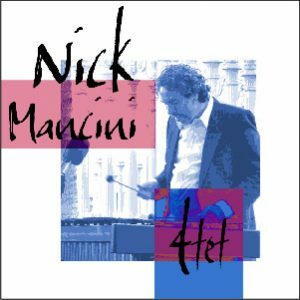 Vibraphonist and composer NICK MANCINI began his professional career as a drummer, at the age of 15. He graduated Manhattan School of Music’s Master’s degree program in jazz performance, establishing himself as a sought after presence in NYC’s jazz scene. 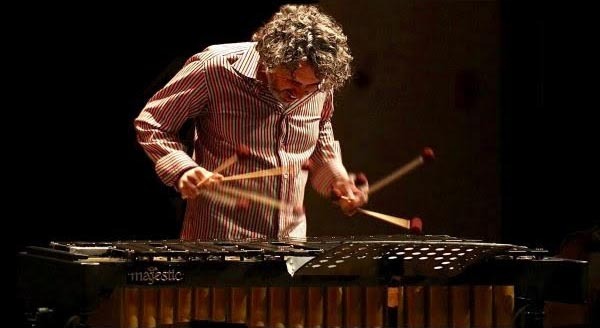 In 2006 he relocated to Los Angeles, where his undeniable jazz wizardry was immediately recognized and an eager following of appreciators gained momentum. Since then he has steadily performed, recorded and promoted the Los Angeles jazz scene with performances, multiple recordings and his own jazz series at the gallery Curve Line Space. Mancini has shared the stage with such diverse luminaries as Arturo Sandoval, Kenny Werner, Charles Fambrough, Marvin “Smitty” Smith, New York Voices, Jennifer Holliday, Bob Hurst, John Beasley, Jesca Hoop, Leon Fleisher and Julian Fleisher, and performed at such notable venues as Birdland (NYC), the Aspen Music Festival, Catalina Jazz Club, Jazz at LACMA, Jazz Bakery, Troubadour, Hotel Cafe and virtually every jazz venue in Los Angeles. A fierce and prolific composer and arranger, Nick boasts nine independently released records under his own name, the latest entitled – The Long Game.